We are a Delhi based Studio bakery. We commenced our operations in the year 2009 as specialist in personalizing bakery products for individuals and corporates. The Chef-Owners Ekta & Nekta Bagai are professionally trained from top Institutes of Culinary arts and have worked with some of the best international chefs and head chefs of top five star hotel bakeries like The Gourmet Shop (ITC Maurya) The French Crust ( Hotel Surya) . 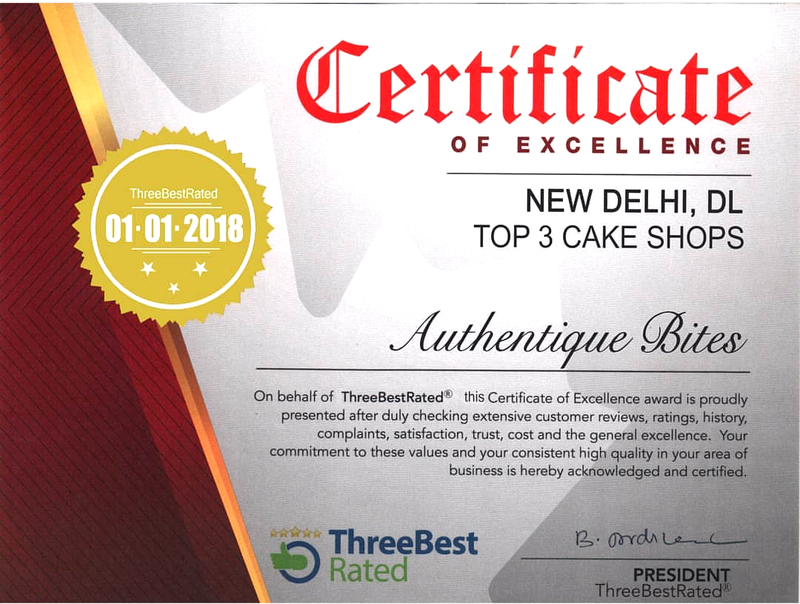 Over the years, the bakery has gained popularity for its perfectly finished 3D & 4DCakes ,Wedding Designer Cakes, Designer Cupcakes, Desserts, Brownies, Dry Cakes, Cookies, Designer Chocolates & innovative Gift Concepts. The word ‘Authentique’ is a French translation of the English word ‘ authentic’ which means ‘original’ and forms the foundation of the bakery ‘Authentique Bites’ where we ensure that every bite comes from its roots. It would be our pleasure to be a part of your special moments and make them grand with our unique artistry and authentique flavors.